We would like to inform our kind users that the territorial code system was modified on 1 January 2018 (Decree No. 39/2017. (XII. 27.) of the Minister of Prime Minister’s Office, amending Decree No. 31/2011 (X. 24.) of the Minister of Public Administration and Justice on the territorial registration identification code system entered into force). The modification was justified by international and national legislative changes, in accordance with which several territorial classifications have been modified. In view of user needs, new nomenclatures have also been incorporated into the territorial code system. 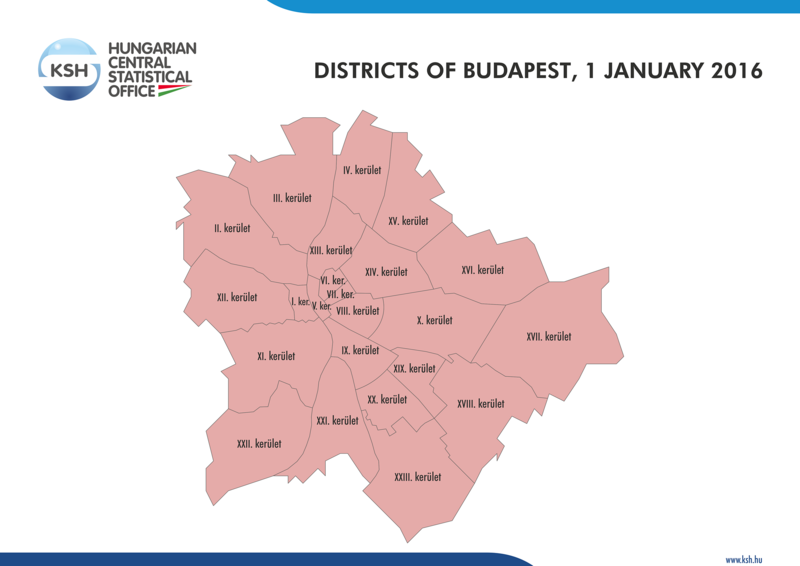 Based on the changes, Budapest and Pest county are also planning and statistical regions, while Central Hungary became exclusively a statistical large region. The latest documentation is available at www.ksh.hu/tszJ_eng_menu. 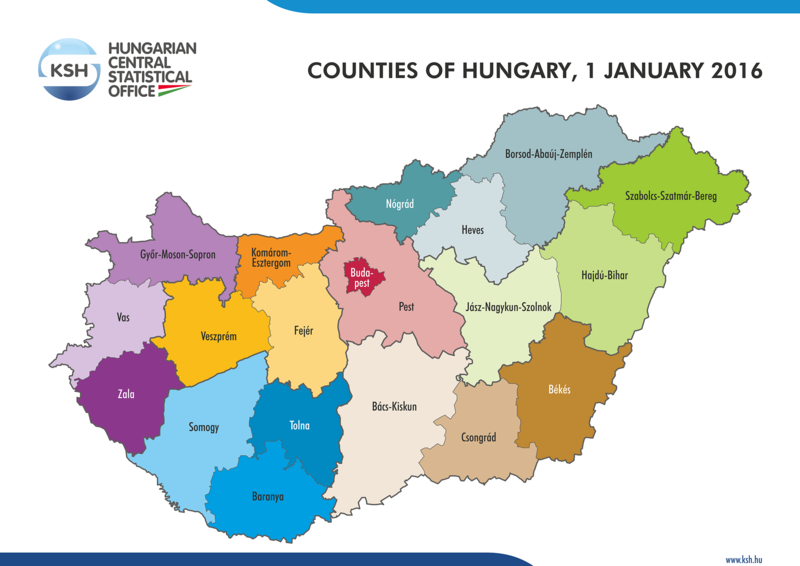 Similarly to the practice of other countries, spatial structure and settlement structure of Hungary is laid down in the Constitution. Accordingly, the total national area is divided into the capital, counties, towns and villages. The capital city is split into districts, while towns can be broken down into districts. Villages, towns and the capital are settlement-level units, which necessarily cover the total national area. Counties are territorial units consisting of settlement-level units. 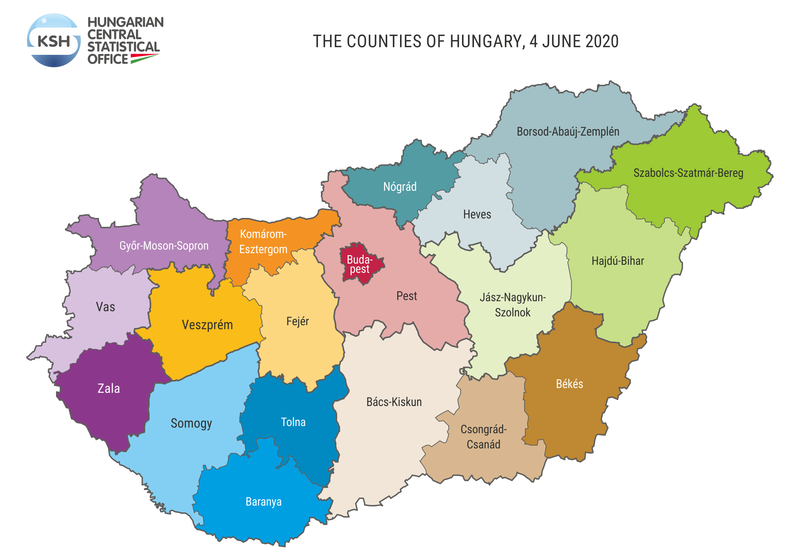 The 19 counties came into being as part of the public administration reform in 1949–1950; the basis of this structure was the network of 25 counties that remained within the current Hungarian borders. 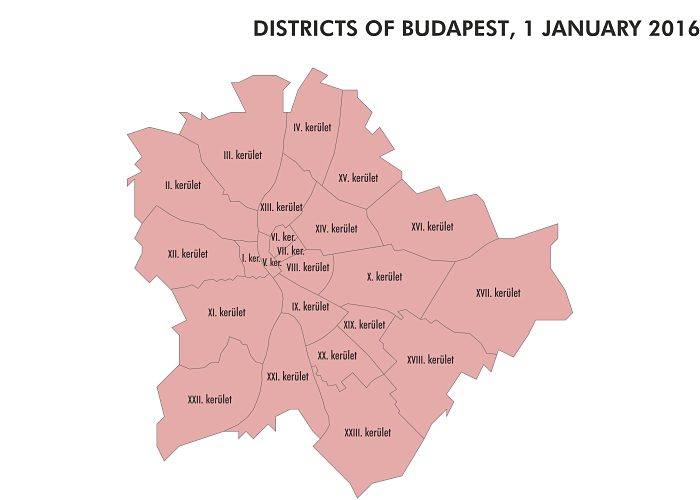 The present territory of Budapest was created in 1949 with 22 districts. The 23rd district was created in 1994. Settlement-level units are villages, towns and the capital, which necessarily cover the whole area of Hungary. Out of the 3155 settlements of the country 346 are towns (1 of which is the capital and 23 are towns of county rank), and 2809 are villages.